to serve your advanced products needs. 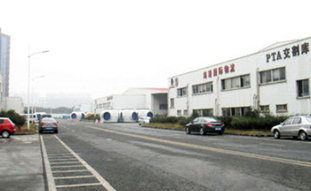 Maywon PV Co.,Ltd is located in the International Logistics Park ,Jiangyin New Harbor City,where the New Harbor International Logistics Co.,Ltd is one subsidiary State-owned companies under the supervision of Jiangyin New Harbor City Committee, who has its own warehouse, transportation vehicles, ocean ships as the necessary logistic conditions. New Harbor International Logistics Co.,Ltd is close to the unique public container dock in Wuxi region , surrounded by all administrative agencies for MSA Customs,Quarantine that afford convenience for business .The company contains good relationship with famous logistics corporations and financial institutions home and abroad provide full range of supply chain services for customers. Part of the information from the network, if the violation of your rights and interests, please contact us immediately after verification to delete!